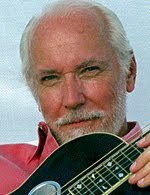 Thanks to Dwight Worden of the IBMA for news that a tribute is being organised for dobro master Mike Auldridge by Rob Ickes and Betty Wheeler, the joint organisers of ResoSummit. Mike Auldridge is one of nine 2012 recipients of the National Endowment for the Arts' National Heritage Fellowships – the USA's highest honour in the folk and traditional arts. The citation for his award, with an account of his career, can be read here. A celebration and concert for this year's new fellows is to be held in Washington, D.C., on Thursday this week. Rob Ickes and Betty Wheeler have set up a tribute website for Mike, which is to be shown to him before the Thursday celebration; so anyone who wishes to post a tribute to this truly innovative musician, who redefined his instrument, should post it on the Guest Book page today or tomorrow.